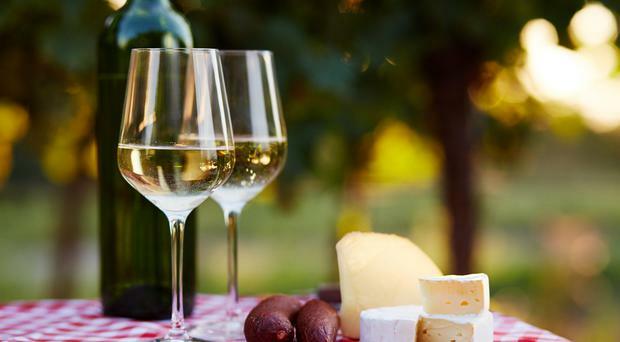 WINE and cheese lovers rejoice as a festival celebrating the popular pairing is coming to Dublin. ALMOST half of Irish people would consider switching to a vegan diet for environmental and ethical reasons, a new survey has found. Teeling Whiskey's 24-year-old single malt has been crowned the 'World's Best Single Malt' at the 2019 World Whiskies Awards. SUPERVALU is recalling one of their breakfast cereals amid fears insects might be in some packs. The first lab-grown steak will be available to buy in two years after scientists finally produced meat with the correct appearance, shape and texture of a real slice of beef. More of a buyer than a baker? Don't fret! Aoife Carrigy has sought out Ireland's purveyors of gourmet delights to help keep your Christmas sweet. An 'Irish bar and the best of its genre' owned by two young Irishmen in New York has been named as one of the best bars in the world. Even the customers queuing for donuts into the late evening at Krispy Kreme can't explain the phenomenon. A Cavan butcher who can make nearly 80 sausages a minute has sealed his place in the annual Guinness World Records book for 2019. The Taste of Donegal Food Festival takes place in Donegal Town next weekend, from August 24-26. The UK Guild of Fine Foods has announce its 2018 Great Taste Award winners, with a remarkable 392 based in Ireland. A total of 12,634 products were judged this year winners get to display the distinctive Great Taste Award on their packaging, with either one, two or three stars awarded. Proud Belgians have bit back after a leading French newspaper claimed that frites - the world-famous chips served with Belgium's national dish of mussels - were invented in France. A Dublin pub is offering a free whiskey to football fans from countries participating in this weekend's World Cup games. The sun is high in a cloudless sky as I retreat down the broad servants-entrance steps to a cool Fitzwilliam Square basement. Inside, the lingering scent of turf from a cool stove reminds me that this is unusually hot weather for our little green island. From slow roasts to flat whites, Ireland's coffee culture has developed rapidly in the past decade, but we are still primarily a nation of tea drinkers. Supermarkets in Ireland and the UK have pulled bags of own brand frozen vegetables from the shelves because they could contain a deadly bacteria. Irish chef Myrtle Allen has died aged 94, her family has confirmed. Hot chef Adrian Martin (26) says people regularly assume his dad John is his brother. Naturally John (54) is happy to accept the compliment. The Body & Soul festival - which celebrates the summer solstice and takes place at Ballinlough Castle in Clonmellon, Co Westmeath, over the weekend of June 22-24 - is known for having a food offering that's a cut above some other festivals. Think of the quintessential French chef, all floppy hair and twinkling eyes and extravagant gesticulation, and chances are that the first person that comes to mind will be the easy-on-the eye celebrity version of the species, Jean-Christophe Novelli. Food news: Do you dream of becoming a food writer? Imen McDonnell and Cliodhna Prendergast are the women behind the highly-regarded Lens and Larder workshops, which focus on food-styling and photography. Just when you thought you’d reached peak avocado - see the 7.5 million #avocado posts on Instagram - a new way to eat the fleshy green fruit saturates everyone’s social media feeds. We tend to think of ghee as an ingredient that's used only in Indian food, but Sophie van Dijk, a young food entrepreneur based in Co Louth, is on a mission to change that, and to introduce Irish chefs and home cooks to its delights. With its iconic red label and secret recipe, it's been one of the world's most famous soft drinks for more than a century. Tayto lovers, you now have the chance to vote for a new limited edition flavour - and the choices are quite tasty. We had a 21st birthday party for two of our children (they are not twins, but a house move meant that the celebration of one of the birthdays was very much delayed) in the house a couple of weeks ago. A Christmas advert for the supermarket giant Aldi has been criticised for appealing strongly to children while marketing alcohol.